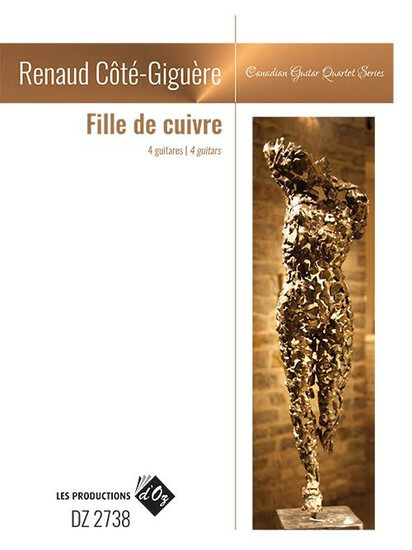 Fille de Cuivre (“Copper Girl”) was inspired by the art of Jean- Louis Emond, a Quebecois sculptor who welds metal fragments together to form life-size human sculptures. One of these is a woman the back of whom was purposely left open, revealing the rough and unrefined welds from one side and the beautiful and perfectly polished lady on the other. 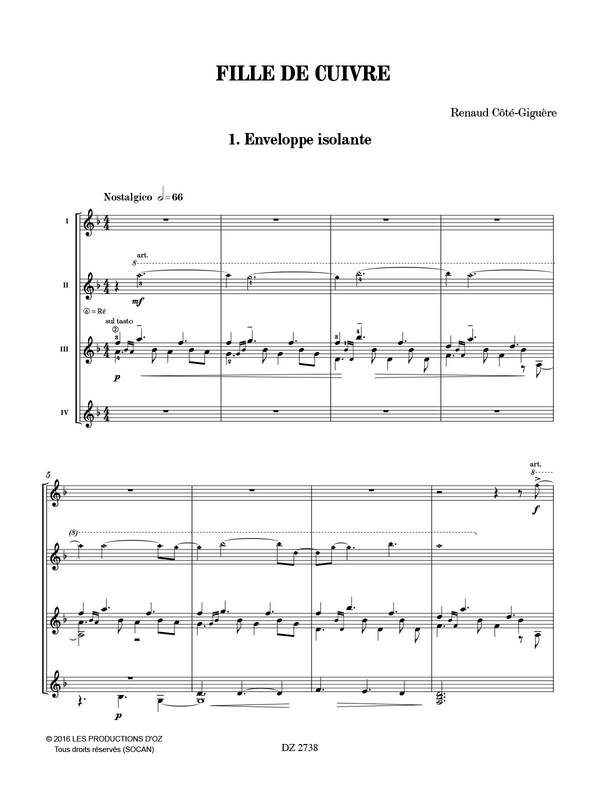 The composer took this to suggest that someone can be fragile and broken from the inside, but appear perfectly immaculate on the surface. The resulting music explores the conflicting internal emotions of such a person.